← Shock The Monk: Skafish Debut In Remastering Stages! Last weekend I had an extended trip to the Research Triangle area in North Carolina, where we wee seeing OMD play a rare date nearby in Raleigh. Of course, that means that a few record stores would be hit! Ironically, I did no shopping in Raleigh itself, owing to fun, sociable things happening, but my wife swears we went to Schoolkids Records there once, which I have no recollection of at all! 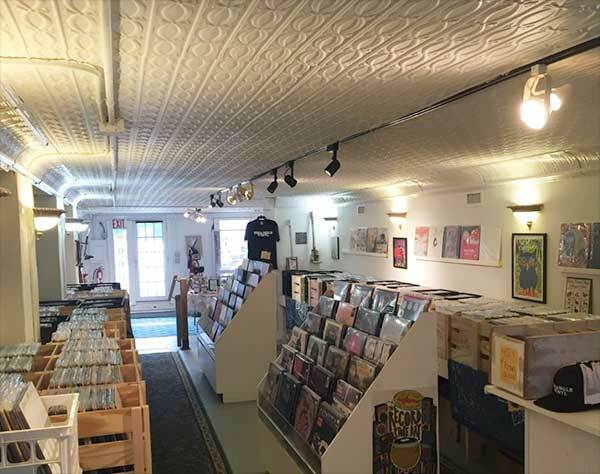 [the location in Chapel Hill – yes] I was only doing any record shopping on the day home on the road, so the first stop was that hotbed of burgeoning neohipster activity, Mebane, North Carolina. First stop? As usual, my friend’s almost indescribable shop, Quirks! 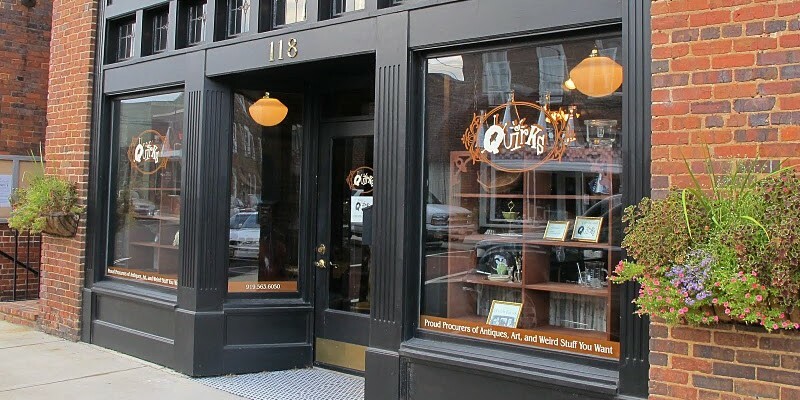 Quirks is not a shop so much as a physical manifestation of my friend Elisa’s ID. It was perhaps inevitable that she eventually opened up a shop to let that stiff out of her skull. At the very least, it makes room for new acquisitions. There are antiques, kitsch items, religious icons, science and medical gear, hip femme fashions, blown glass obscure xmas ornaments [year round]… and records. I usually find at least one gem when visiting and this time was no exception. 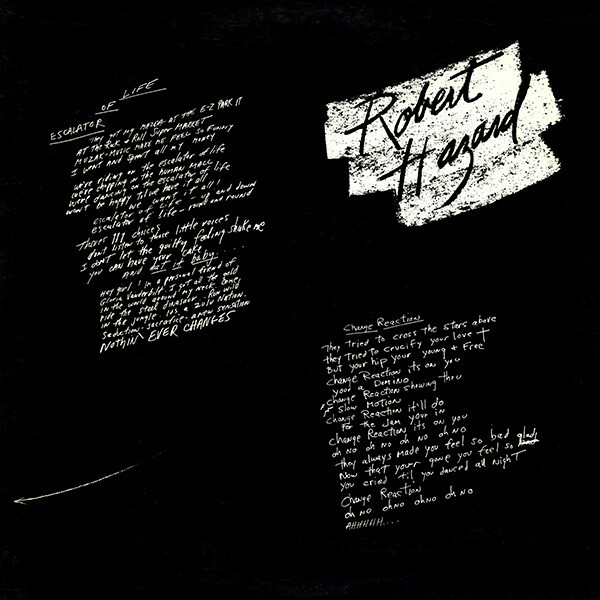 This time it was the RJH Records, indie 1st pressing of the Robert Hazard EP. I remember that I didn’t have much time for what I considered also-ran US technopop while I was also listening to the major bands of the era. In 2001 while shopping in Toronto, I picked up volume 4 of the “Hardest Hits” series, and it had the hit “Escalator Of Life” and it played much better then without all of those Ultravox and Visage records to distract me! Seeing this, it was easy to pick it up and hear the rest of what Mr. Hazard had to offer. I think it set me back all of $2.00. After I was ready to check out, Elisa told me to check out Triangle Vinyl three doors down, so I did! A slim store, but packed with the stuff. I started browsing through the bins and they were heavily skewed towards non-Monastic releases. Classic rock, modern-hipster stuff. Stuff, I might add that was priced to set my hair on fire! Most of it modern, ripoff vinyl with every third album costing between $50-100!!! I saw a Mars Volta album [I was totally ignorant of anything but this band’s name that day] for $150… like it was no big deal!!! Let me tell you; $150 albums get me TABLE FLIPPING MAD!!! Wha…?! A Razormaid with a remix of Claudia Brücken’s exquisite “Kiss Like Ether” for the bargain basement price of $20? How did that happen? With 20% off used records today on July 4th? Okay. Sold. I won’t summon Galactus to wipe this store from the Mebane map! I kept rifling through the bins seeing the occasional record I had at prices far in excess over what I had paid for them years ago. I was ready to check out when I spied a hallway leading to the wondrous “budget basement” of the store. In there were all manner of $1.00 records, as if to atone for the crimes being committed elsewhere in the store. See that Fingerprintz album? There was more where that came from! Good gravy! Here was where all the stuff I wanted was! All at sinfully low [almost too low] prices! 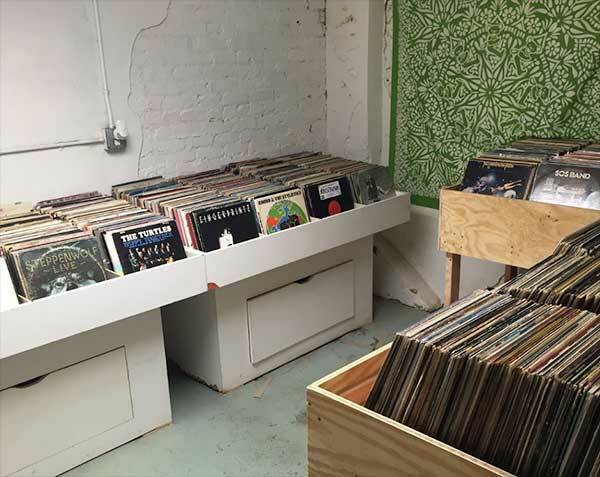 This entry was posted in Record Collecting and tagged 2016, record shopping. Bookmark the permalink. What else is on the disc with Ms Brucken? Tim – Nothing much. The best of it may be Dusty Springfield with “Occupy Your Mind.” There’s Cab Volt, but from GLBAN! [“Runaway”] Other artists? Vaness Paradis, Praise, Enigma, Coil, and Falco. Feh… maybe double feh! I don’t know Monk, I’ve always really liked the Razormaid version of Bassomatic’s Ease On By…but I think you must have found the rarer original release – is it a double album? Mine is a single cd. 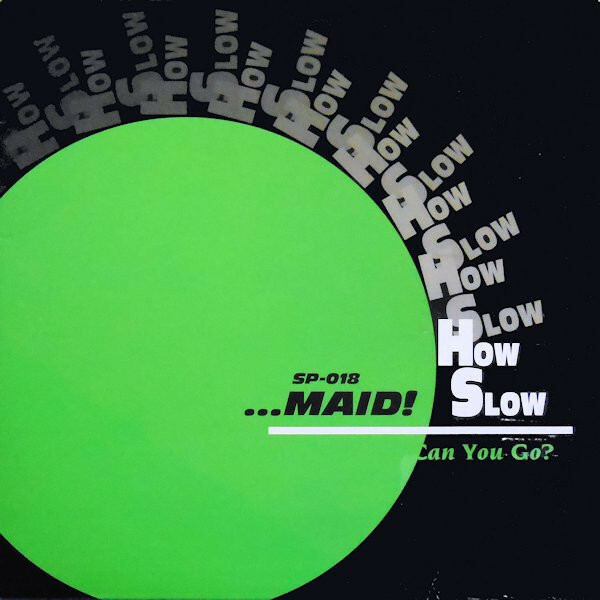 Echorich – This was the “How Slow Can You Go?” 2xLP. Which Falco? Kinda seems late in the game for him. Just asking….for a friend. “My friend” has not heard of that one. Interesting. I know you’re not a mashup sorta guy but this German guy who goes by the name DJ Schmolli has a whole album of Falco mashups. Tim – I just ran into this sentence describing “Einzelhaft” on the Trouser Press website and had I been drinking, liquid would have sprayed out of my nostrils. QUOTE>>> “The best parts of Einzelhaft are tedious rock; the tracks that brought him international viability (“Der Kommissar,” “Maschine Brennt”) are repulsive pseudo-funk with obnoxiously patronizing attempts at African-American lingo, accents and music, sung in a constipated gurgle as appealing as hearing someone vomit outside your window.” <<<UNQUOTE. Eyow! That's some serious critical knife-twisting par excellence there!